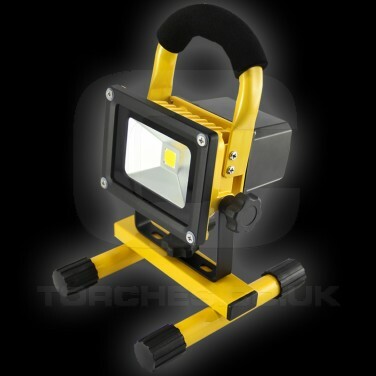 A versatile lamp that illuminates your work area leaving your hands free to crack on with the task in hand, the rechargeable work light is available in two sizes; 10W and 20W and is ideal for commercial or domestic use. A sturdy aluminium unit houses a high performance cool white LED giving you clear visibility and has a 360 degree swivel so that you can direct your light. The secure rubber footed base makes is easy to position and the comfortable cushioned handle makes it easy to transport. 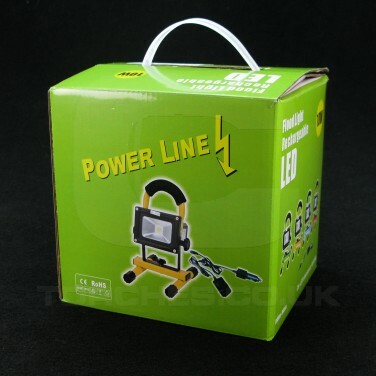 Supplied with both a mains charger and a 12V DC car charger, this practical lamp has an integral rechargeable lithium battery giving hours of light from a single charge making it ideal for use in garages, on driveways and in workshops where there's no mains, it's even waterproof too!